The IPCC wants the world to stop using coal, oil and natural gas, saying that they must be “phased out almost entirely” by the end of the century. The report reeks of their contempt for humanity. Losing electricity, no matter where you live, is losing every technology that enhances and preserves your life. You lose the ability to cool or warm your home, apartment, or workplace. You lose the ability to keep food safe in your refrigerator and freezer. You most certainly lose the lighting. You lose the ability to turn on your computer or television. Indeed, to use everything you take for granted. Since the discovery and generation of energy with coal, oil, and natural gas, generations have lived lives not only different from all who preceded them, but better in so many ways, not the least of which is extended life expectancy. Nations with energy are places where people live longer, healthier lives. They are also wealthier nations where the energy translates into industry, jobs, transportation, and all the other attributes of modern life. Although we usually don’t associate energy with morality, Alex Epstein has. His book, The Moral Case for Fossil Fuels ($27.95, Portfolio, an imprint of the Penguin Group), is the finest case for the role coal, oil and natural gas has played in our lives and the positive, emancipating impact they have had on humanity. Everyone should read it. “Eighty-seven percent of the energy mankind uses every second comes from burning one of the fossil fuels: coal, oil or natural gas.” That has not stopped environmentalists from denouncing coal and oil as “dirty” or because their use generates carbon dioxide (CO2) emissions. What they never tell you is how small those emissions are and that they play an infinitesimal role to influence the Earth’s weather or climate. They never tell you that the Earth has centuries more of untapped reserves. The modern world could not exist without them. It is not clear. Despite the CO2 emissions, the Earth has been in a cooling cycle for the last 19 years, during the same time the IPCC’s “climate experts” and others were telling us the Earth was going to become dangerously warm. It is essential to understand that every one of the “global warming” predictions made in the 1980s and the decades since then has been WRONG. Every one of the computer models on which those predictions were based was WRONG. A younger generation graduating from high school this year has never spent a day when the overall temperature of the Earth was warming. The Earth’s natural cooling cycle is based on a natural low cycle of solar radiation. The Sun is generating less heat. Indeed, the Earth is nearing the end of the Holocene cycle, one of warmth for the past ten thousand or more years that has given rise to human civilization. Epstein’s book is more than just philosophical opinion. It is based on documented facts regarding fossil fuel use. At one point he quotes Paul Ehrlich who, in his 1968 book, The Population Bomb, declared that “the battle to feed humanity is over.” Epstein notes that in 1968 the world’s population was 3.6 billion people. “Since then it has doubled, yet the average person is better fed than he was in 1968. This seeming miracle was due to a combination of the fossil fuel industry and genetic science…” Farming today is mechanized and that requires fuel! The claims that Epstein debunks are accompanied by the fundamental truths about fossil fuel use and science. His book, comprehensible to anyone whether they have any knowledge of science or not, should be on everyone’s reading list. At the heart of environmentalism and its “save the Earth” agenda is the reduction, if not the elimination, of humans from planet Earth. Alan Caruba, a CFACT adjunct policy analyst, writes a daily blog at factsnotfantasy.blogspot.com. I’ll stop using fossil fuels when the IPCC stops brain farting out it’s pie hole! An offensive ignorant comment, and 6 months later it remains here. Obviously no moderation here? Will my comment stay up. This is a poor article, quoting rubbish like Epstein’s book. There are many more of his caliber. What are your sources? NASA’s crony Real Climate? So you accept trash info from incredibly biased sources. I go by science confirmed by the majority and proven by the test of time. You are a believer of garbage, and Epstein is distributing garbage at an offensive rate. Majority?, name the majority chump! You drink the pseudo science koolaide and call it science. Biased?, you fail to acknowledge historical climate science by peer reviewed research! The well over 1,000 dissenting scientists are almost 20 times the number of UN scientists (52) who authored the media-hyped IPCC 2007 Summary for Policymakers. U.S. Senate Report of over 400 scientists who voiced skepticism about the so-called global warming “consensus” — features the skeptical voices of over 1,000 international scientists, including many current and former UN IPCC scientists, who have now turned against the UN IPCC. The UN-IPCC charter assume anthropogenic warming and wants the IPCC to so “prove”. All this is based on a faulty computer model that assumes CO2 is the driver of climate change. The program , which originates with the Dr. Michael Mann era, treats the Earth as if it were a disc facing the sun at an angle. How can these models be other than incorrect? You might try reading actual scientists papers on the subject, like Dr. Don Easterbrook, Roy Spencer, Willie Soon, ad many others. The CO2 accounts foe less than 4% of the so called greenhouse effect WATER VAPOR accounts to 95% of the effect. MOST of CO2 is completely natural. When you do the math, our addition to the effect is about 0.28%. Hardly the driving force imagined by the warmist crowd. Further, there has been no warming as predicted by warmists since 1997. Why is that? Just saying that sinceCO2 is a greenhouse gas so it drives climate with no empirical evidence whatever does not make a valid case. CO2 is a trailing indicator that the climate has warmed, not tb]he cause of the warming. Check the Vodstok ice core graphs. They clearly show an 800 year lase. The Holocene maximum, the Ro an Warm period and the Medieval Warm period were all as warm as today and warmer. Yet CO2 levels were lower. If CO2 drives climate, explain how that was possible? It ids the SUN that drives climate, it always has, it always will as long as we have a climate. CO2 is also plant food. If it is cut back, plants growth slows, if it is reduced past a certain point, plant growth stops, and then everything dies. If we were to increase CO2 in the atmosphere, plants would thrive , growth and crop yields would be uo 30 to 100%, plants require less water and less fertilizer. There would be less starvation, better nutrition , and , as a result, less conflict. BTW, I was referring to Computer models, not a graphic model. An as “gradational waves” despite 50 years searching have never been detected , how is it possible to build a model using them is a climate model. Also, why are CLOUDS not included in that model? You seriously expect me to read the nonsense and rubbish produced by those lunatics, some of who are fossil fuel funded. It would be like going to Tiny Tim for music composition advice. I expect you to read and understand the science. Unfortunately, you have proved only that you are closed minded. Goodbye. Proven?, you obviously don’t understand electromagnetic particle energy physics. The Warmists could gain credibility if they could explain the Younger Dryas, the Flandarian Transgression, or the Dalton Minimum. All of these events occurred in the last 400,000 years and are recorded in Greenland and Antarctica ice core proxies. began approximately 13,000 years ago. The final violent thaw began 11,000 years ago. Coincidently 90% of all large North American mammals disappeared at this time. To explain the Earth’s energy flow involves 2 science subjects, Thermodynamics and Particle Physics. Completely identifying the forces and interactions is a complex subject for those with lifetimes of scientific study. The heat flow that is in question is Infrared (IR) emission of electromagnetic energy. The warmists claim that this energy is captured and re-radiated by CO2 as a primary factor that warms the planet. The term ‘greenhouse’ is an incorrect word for Earth’s warming factors, the correct term is insulation, which does not warm you, but only slows the rate of temperature change. Professor Nasif Nahle of the UA de Nuevo Leon has calculated that outgoing IR energy is delayed at most by 22 milliseconds, that is the total extent of CO2 driven global warming, the 97% from natural and the 3% from man. This ‘delayed’ heat transfer is NOT radiated back to Earth, it’s leaving the Earth at night at the speed of light for the cooler outer space and is only delayed ~22 ms. The delayed heat is obviously re-radiated equally in all directions, so half of it is directed back at earth. 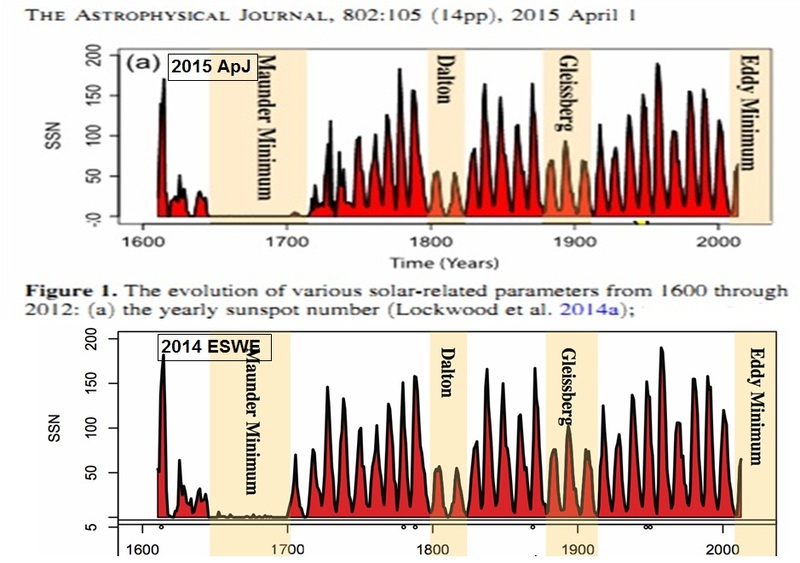 Changes in the solar constant since measurements began are minimal compared with warming observed. You are writing too much nutty nonsense to deal with here, read a reasonable acceptable book, take some courses, but no you want to collect and repeat silliness.